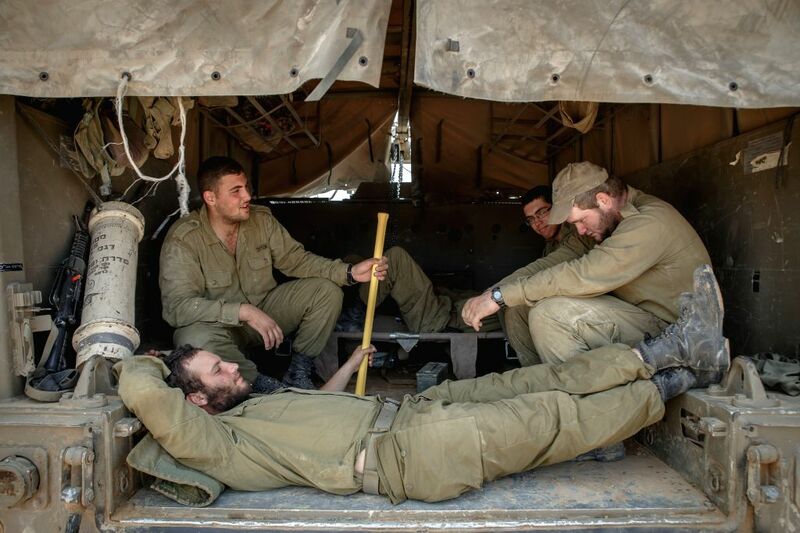 GAZA BORDER, July 15, 2014 - Israeli soldiers rest in a field in southern Israel near the border with Gaza, on July 15, 2014. 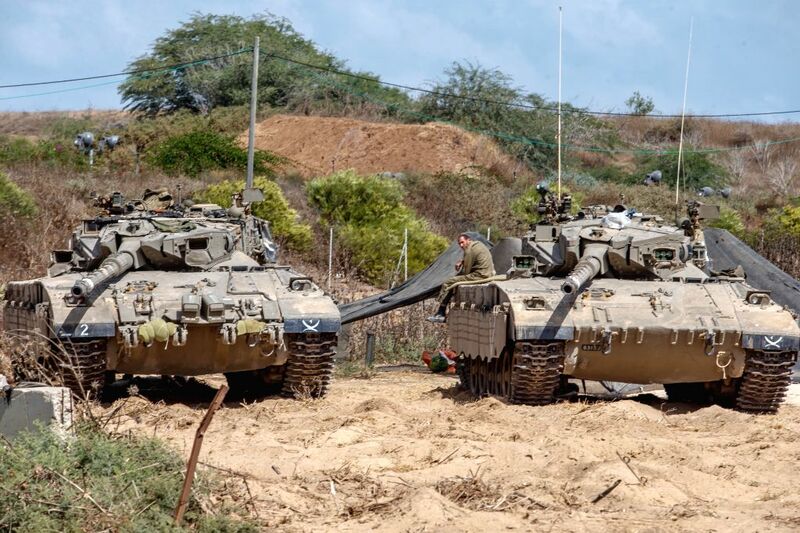 The Israeli army on Tuesday resumed air strikes against Hamas targets in the Gaza Strip as rocket firing from the coastal enclave continues despite Israel's unilateral approval of an Egyptian-brokered cease-fire proposal, Israeli and Palestinian media reported. An Israeli soldier sits on a Merkava tank in southern Israel near the border with Gaza, on July 15, 2014. 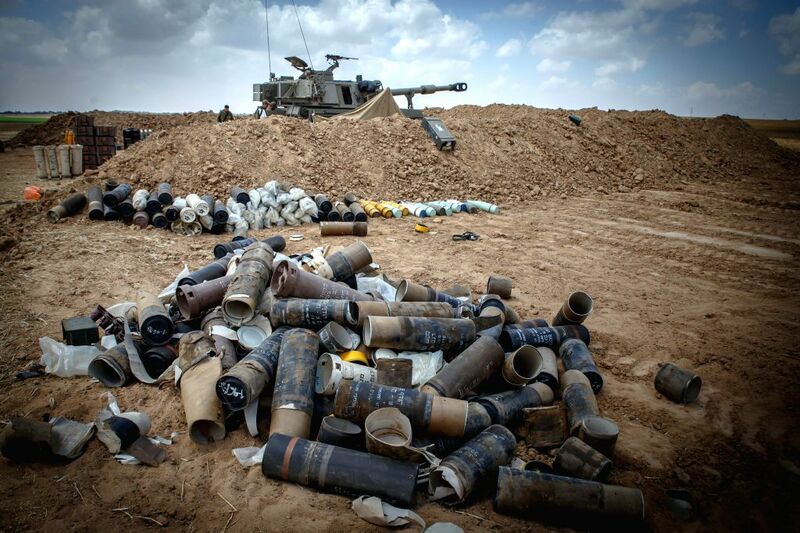 Empty shells are laid on the ground next to an Israeli artillery unit in southern Israel near the border with Gaza, on July 15, 2014. 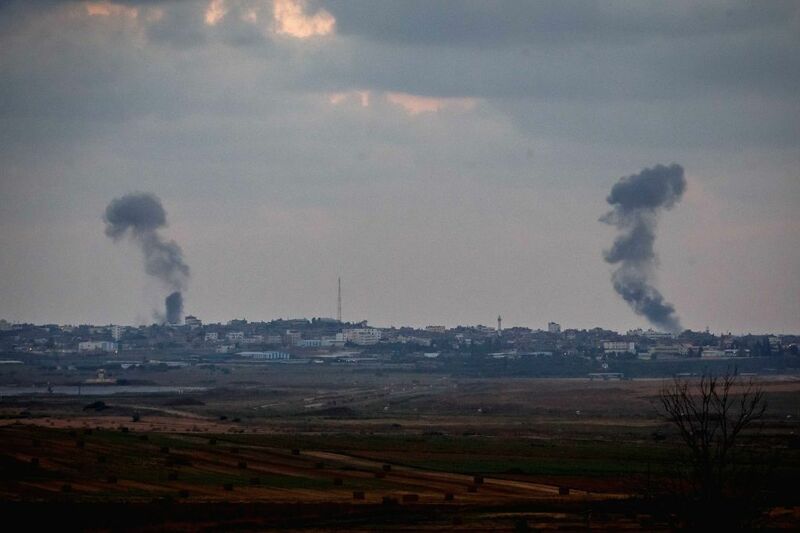 Smokes rise following Israeli air strikes in the northern Gaza Strip, on July 15, 2014. Rocket fire from Gaza on Tuesday killed an Israeli civilian near the Erez crossing at the Gaza border, the first Israeli casualty since Israel launched its " Operation Protective Edge" last week, Israeli officials said. 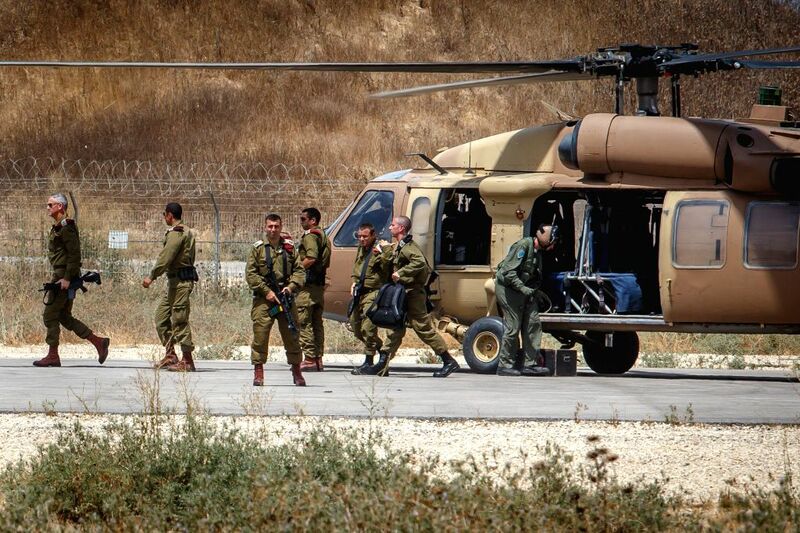 The Israel Defense Forces (IDF) Chief of Staff Banny Gantz (L) arrives at an army base in southern Israel near the border with Gaza, on July 15, 2014. 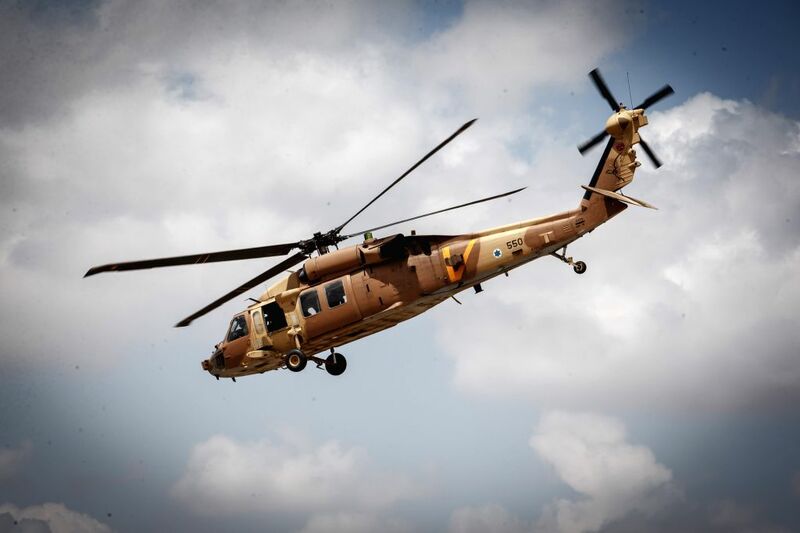 An Israeli helicopter carrying the Israel Defense Forces (IDF) Chief of Staff Banny Gantz lands at an army base in southern Israel near the border with Gaza, on July 15, 2014.